Born in the jungles of Puerto Rico, Hector’s story is part of Asheville lore. Writers have gravitated to the story that Hector was a young orphan. Truly, he was an adored son raised by his Grandmother. He shined shoes until he was old enough to immigrate to New York at the age of 12. He worked at restaurants in NYC and Miami and came to Asheville in the '80s where he worked in various restaurants until opening a burrito stand that would become Salsa. Since 1994, he’s created five restaurants in Asheville including Salsa, Zambra, Modesto, Chorizo, and Bomba and influenced many other Asheville ventures, including The Orange Peel. What is not often part of the characterization of Hector, outside of his masterful way with flavors, recipes, sheer creativity, and unbridled passion, is his influence in the Asheville restaurant scene. Asheville was not a foodie town before Hector Diaz. People came here to hike or paddle, eat barbecue, smoke cigarettes and listen to Bluegrass, visit the Biltmore House or Grove Park Inn. But it was decidedly not a food destination. Hector was the beginning of this town's food transformation. 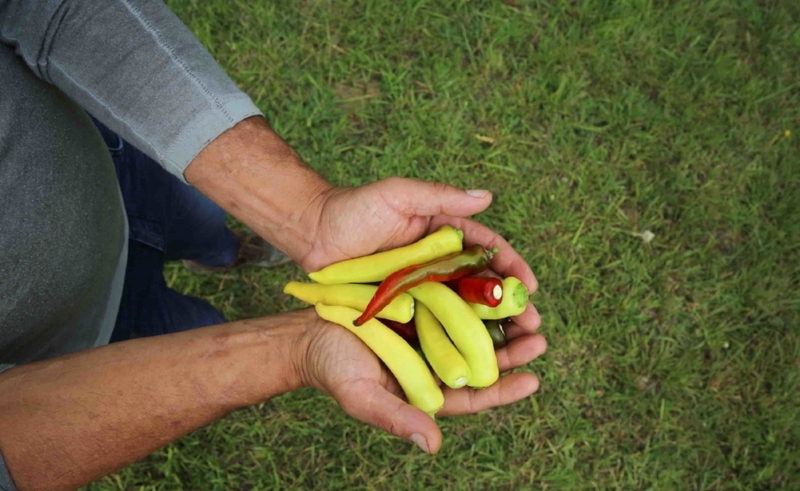 In 2012, Hector and wife Aimee bought a farm near Asheville, where they are raising their four boys among rows of organic greens, vegetables, peppers, chickens and like-minded farming and gardening neighbors. They are part of what West Asheville hopes will be the edible mile. Their spot is called Farm 44. Hector and Aimee are contributing community members. The couple have helped to refurbish Asheville’s aesthetic and related infrastructure. Their investment in Asheville is primary.